There it is; the dreaded cell phone bill. It’s been lying in your mailbox all day and you know it’s time to bring it in. You reach for it, wondering what the damage is. Last month it was a killer. The month before was a massacre. You can’t keep this up. You start considering buying stock in your cell phone company. At least that way you can justify the amount of money you have been tossing down the drain. Do I text that much? Am I really on the phone all day? Where are my minutes going? The truth is: the cell phone bill you pay today is a far cry from what it used to be. And that’s not just because you have a fancy, new Smartphone in place of that dumb phone from 10 years ago. Yet another survey found that the 46% average Americans spend over $100 a month on their cell phone bill, with 13% spending $200 or more! The rising costs have made cell phone bills the second highest household bill, secondly only to the mortgage. So, what’s the deal? Why are we paying so much? Here are some helpful tips to cut down the savage monster, otherwise known as your cell phone bill. And, who knows, you might even have a little money left over for holiday shopping. So many people just pay grab their checkbook, pay the bill, and don’t give it a second thought. But did you know, sometimes you might be paying for something that you didn’t even authorize? A few months ago, I realized I had been paying for a “navigator” app (think pre-Mapquest days) for $2.99 a month for who knows how many months or dare I say years! What a waste! Read the bill and read it carefully. Do not be shy to dispute any strange charges that you don’t recall making. Just be sure to ask your daughter or Smartphone-happy spouse before you lay the blame on the cell phone provider. I cannot tell you how many times I have paid a lower monthly bill just by picking up the phone and calling my cell phone company. Be upfront, tell them the truth. Tell them that you want to know where your money is going and what ways you can change your plan to make it more affordable. Almost every time I have called my cell phone carrier, I have walked away spending less money per month. It’s worth a shot! If you have come to the conclusion that your cell phone company is the true killer in this scenario, perhaps it is time to abandon ship. There are plenty of service providers out there and maybe there is one that is better suited to you. Check out http://www.myrateplan.com/, a great website to compare your current cell phone rate plan with other rate plans across the country. Just remember: You might be giving up some of your sweet perks by switching services. Oh, and do not (for the love of your wallet) break your contract to switch carriers, unless you want to shell out 200 smackaroos. It may not be your favorite option but desperate times call for desperate measures. Do you really need the top-of-the-line, first-of-its-kind, totally decked out phone of the year? Or do you just need one that does the basics? I mean, after all, nowadays you do have you tablet and iPod and laptop and television and friends (though, yes I know, the last category is nowhere near as entertaining). So the question is: do you really need a mega entertainment phone? Or can a regular, run of the mill phone suffice? If the answer is yes, just think about all the money you will be saving. You could use it to go on vacation! 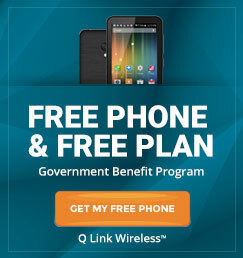 “Free phone calls,” you say. “But how?” Well, there are a few options. The first is to use a landline whenever you can, especially for local and toll-free calls. Secondly, sign up for an Internet-based video conferencing service like Skype, Google Voice, or Evaphone and start taking advantage of free phone calls locally, nationally, and around the world! 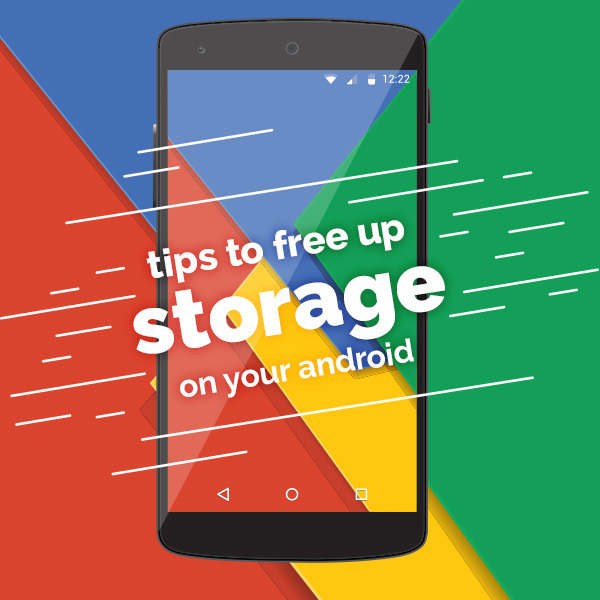 If you have a Smartphone, you can even download their apps and take them with you on the go. Are you a text-a-holic? Have you monitored just how much texting you during a week? A month? A day? If you are anything like me, you remember the days when people would come pick you up and knock on the door. This evolved into a quick phone call to say, “Hey, I am outside.” Nowadays, it is a simple text: “I’m here.” But how many “I’m here” texts do you send out? 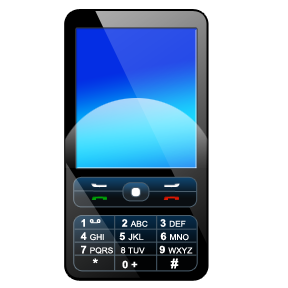 Switching to an unlimited text messaging package can save you money in the long run. If you go over your monthly text plan, you are likely being charged between 5 and 15 cents per text message. And you will be charged double for group texts or picture messages. This can really add up over time. Switch to an unlimited plan and send as many “I’m here” texts as you like. Many people are unaware that their cell phone providers offer employee and senior discounts. If you work for a large corporation, chances are they offer a cell phone service discount with a certain provider. Check with your HR department or give your provider a call. 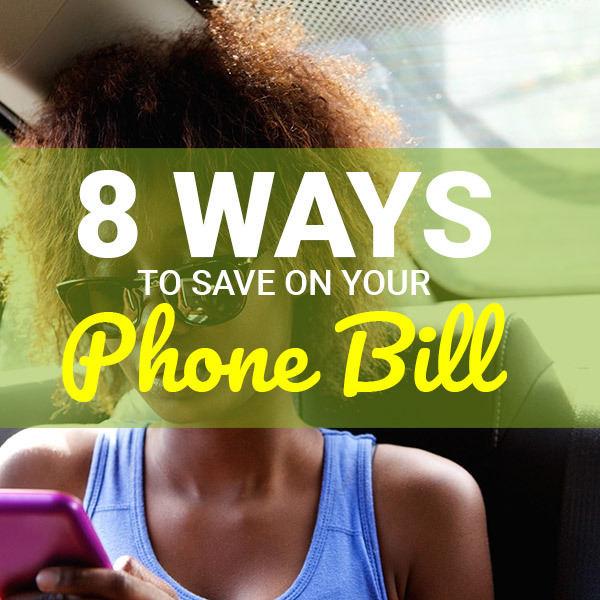 It could save you 10% on your cell phone bill. If you are a senior over the age of 65, you might also be eligible for a senior discount on your phone. Call up your provider and ask. It’s worth a try! I am under the impression that roll over minutes are greater than a slice of apple pie. And that is saying a lot, seeing as I love apple pie with a passion. But seriously, if you pay for minutes and then don’t use them, they should totally roll over and be used next month. Rollover minutes are also a great safety net for those months where you are talking, talking, talking (and we all know those months). With those extra minutes, you won’t have to worry about each call you make, or how many minutes are left. It’s a great money saving and stress saving tool!